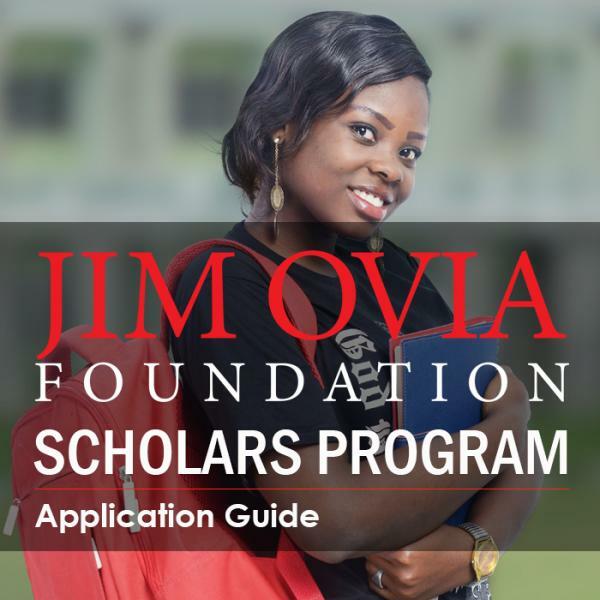 The Jim Ovia Foundation is offering up to 100 scholarships to pursue undergraduate and graduate programme in Nigeria for the year 2017. These scholarships are open to all potential students of Nigerian citizenship. The Jim Ovia Scholars Program is a national initiative to educate and develop next-generation leaders who will contribute to the social and economic progress of Nigeria. Scholarships are awarded on the basis of personal intellectual ability, leadership capability and a desire to use their knowledge to contribute to society throughout Nigeria by providing service to their community and applying their talent and knowledge to improve the lives of others. This program aims to support academically qualified, yet economically disadvantaged, youths in Nigeria who will contribute to the transformation of the future of the country. Course Level: Scholarships are available for pursuing Undergraduate and Graduate programme. 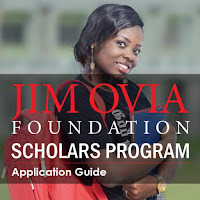 Study Subject: It is expected that the Jim Ovia Scholarship beneficiaries will become leaders in helping to address challenges related to health, technology, and finance, all areas in which the foundation is deeply engaged. Scholarship Award: Beneficiaries of the Jim Ovia scholarship receive an annual award of 150,000 Nigerian Naira, renewable for up to the entire duration of the beneficiary’s educational tenure. Take note that awards are not automatically renewed annually. Students who have previously been awarded the Jim Ovia Scholarship must fill out a renewal application online to re-apply. Incomplete or non-submission of the required documentation, unverifiable or forged documents will automatically disqualify you for the scholarship. The scholarship is open to all potential students of Nigerian citizenship. One hundred (100) awardees are selected each year from a pool of eligible applicants. Scholarships are awarded on the basis of personal intellectual ability, leadership capability and a desire to contribute to society at large to improve the lives of others. Nationality: Nigerian students are eligible to apply for these scholarships. How to Apply: The mode of application is online. The following documents are required to submit a full application for a New or Renewal Scholarship Award. Please note that all scanned copies must be of the original document, photocopied scans will not be accepted. Please note that a certificate of origin or birth certificate will not be accepted as a valid form of ID. The only exception will be for minors below the age of 18 years who are unable to apply for a government ID. In which case, a birth certificate will be accepted in lieu of a government ID for such minors. Newly matriculated who have not yet received a matriculation number or school ID must provide a provisional admission letter to their institution of study. Application Deadline: The deadline for the current application cycle is September 15 to November 15 every year. Can a Part-time student also apply to the Jim Ovia Scholarship scholarship?